Genuine Sanitaire outer bag, shakeout heavy duty. Sanitaire bag comes with latch and coupling. 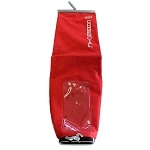 This outer bag fits the following models.